A few weeks from the launch of the S-Class Cabriolet, Mercedes is using Rétromobile to remind us all that roadsters and cabriolets are part of its heritage. Open-air driving is in the Stuttgart-based firm's very DNA. 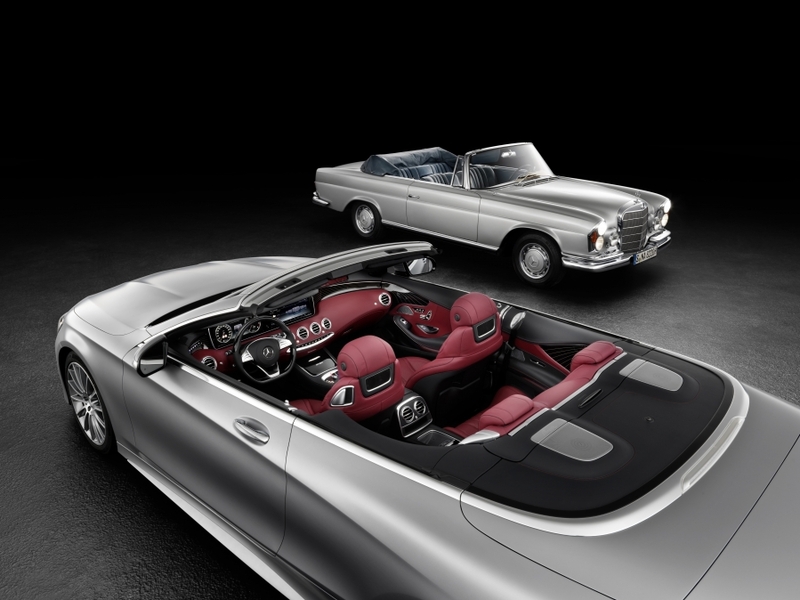 Mercedes is gearing up to revisit luxury 4-seater cabriolets with its new S-Class Cabriolet which it unveiled for the first time in France at Rétromobile. It also be selling a remodelled version of its SL roadster… and allowing us a glimpse into its history that is replete with legendary convertibles. Without going all the way back to its very beginnings (more than a hundred years ago), Mercedes will be showing off a selection of its post-1945 models at Rétromobile. The oldest one on show at the 513 m² stand is a “W188” 300 SC Cabriolet. First unveiled at the Frankfurt Motor Show in 1955, this large open-top vehicle was part of the 300 saloon line, and was seen as symbolising Mercedes's rebirth. The Type 300 drew inspiration from avant-garde bodywork designs and was a completely original car. Beneath its bonnet was a six-cylinder in-line engine, justifying its nickname as a car of the elite. The SC was available in three body styles (coupé, Cabriolet A and roadster) and its mechanics incorporated modern petrol direct injection technology. With an engine that could deliver 175 hp, the 300 SC could reach speeds of 180 km/h. When the first of these ceremonial models were ready to take to the road, engineers were testing a roadster version of the 300 SL. Max Hoffman, who imported Mercedes-Benz cars into the US, campaigned to have such a vehicle developed. 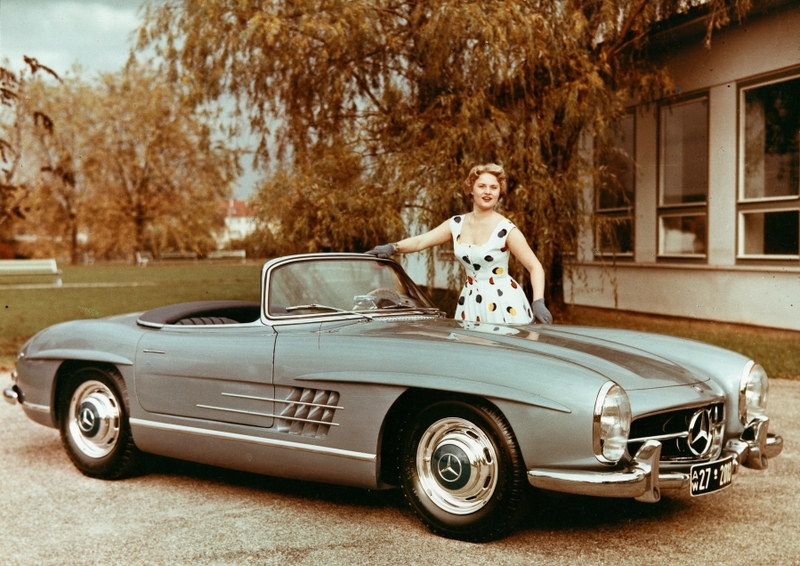 Despite the fascination that its gull-wing doors hold for many people, the 300 SL coupé was not admired by all. 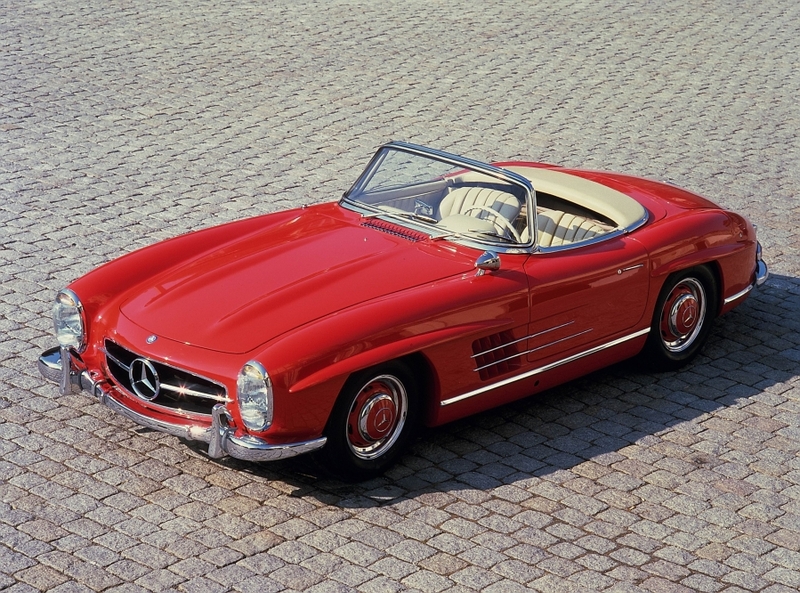 The 300 SL roadster became a reality at the 1957 Geneva Motor Show. It had a panoramic windscreen; the unusual dashboard featured a central column on which the temperature gauge, the rev counter and the tachometer were mounted; the 6-cylinder in-line engine delivered 235 hp – 25 hp more than the coupé version! On the West Coast of the US in particular, this sports car quickly became popular among open-air driving enthusiasts. During its first year, 615 roadsters came off the production lines, as opposed to only 70 gull-wing coupé. By the time production of the roadster ceased in 1963, 1858 had been manufactured. Next came the new SL with its distinctive box shape, earning it the nickname "Pagoda". Available in 230, 250 and 280 SL versions, this roadster was more of a successor to the 190 SL than to the 300 SL. 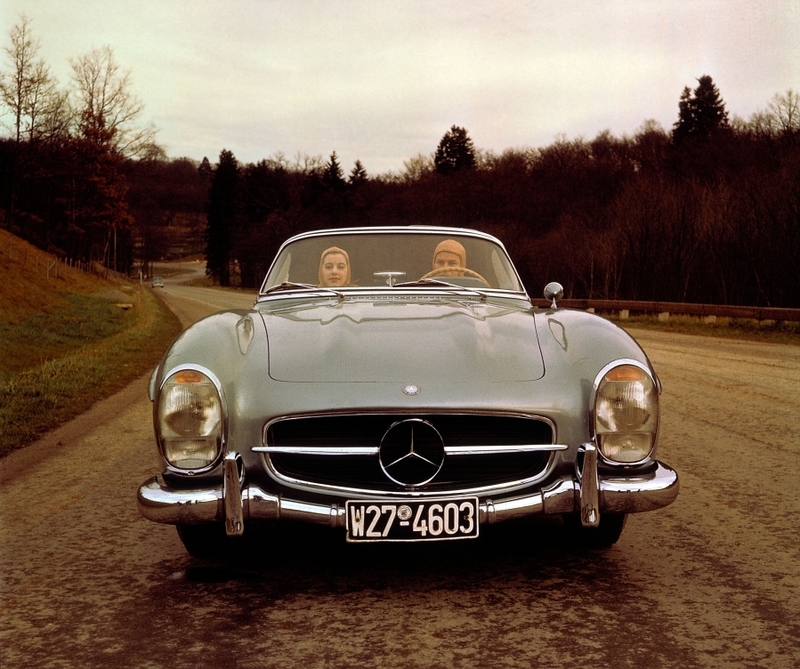 It wasn't until 1971 that the SL roadster got an update with the R107. But with this update, the sporty feel gave way to more of a tourer feel. 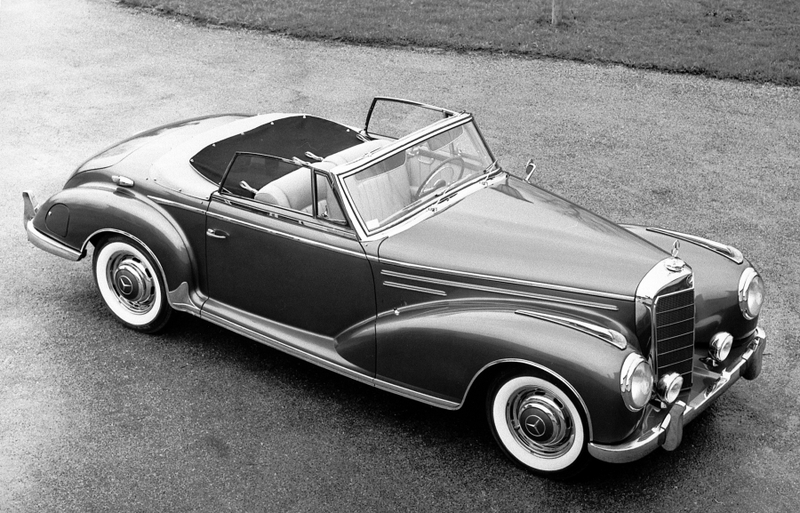 As far as luxury 4-seater cabriolets were concerned, Mercedes did not let the grass grow under its feet. In 1969, it presented a new 3.5 L V8 engine electronic injection engine at the Frankfurt Motor Show. With a 4-speed manual gearbox, it powered a new pneumatic suspension 300 SEL saloon and the 280 SE coupé and cabriolet. The coupé and cabriolet featured swing semi-axle suspension systems with compensation springs and a self-levelling system. The V8 engine could deliver 200 hp, pushing the cabriolet up to speeds of nearly 205 km/h. 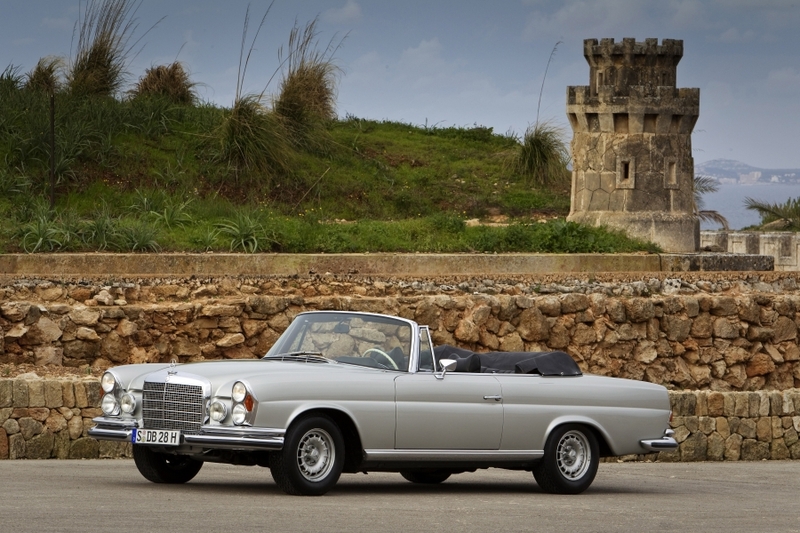 Production ceased in 1971, but this high-end luxurious cabriolet is still a must-have on the collectors’ market. Amateurs of this particular car type had to wait 45 years until Mercedes released a successor to the S Class Cabriolet.